Move over David Beckham - the greatest goal ever just got scored by a lady. USA's Carli Lloyd smashed a hat trick home against Japan to help give the States a whopping 4-0 lead. The US eventually won 5-2, becoming the highest-scoring team ever to scoop a Women's World Cup final. Check out Lloyd's third goal below, belted in from the halfway line. Now that's how you catch the keeper out of position! Ever put one of those little capsules in a swanky coffee machine and wished you could do the same thing with a cocktail? Well, now you can, thanks to Bartesian. Exactly like a coffee maker in every respect except the most important one, this clever little gizmo mixes perfect cocktails at the touch of a button. 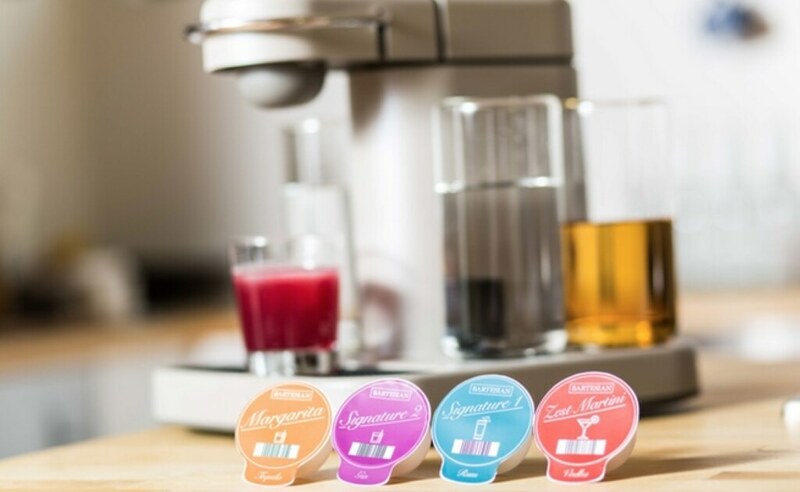 Simply insert the drink mixer capsule, which is made using real fruit juices, proper Angostura Bitters, and non-alcoholic liqueurs. Then add spirits according to the recipe, and press 'go'. Seconds later, you'll be chilling with your favourite long drink. Awesome. Been watching Humans? You'll freak out when you find out just how close we already are to the future. Pepper, the 'domestic robot', has gone on sale in Japan already. Yes, it's a weird-looking little plastic boy/girl that might not work properly, but hey. It's still a real life mechanical servant. And now you can even control robotic helpers with the power of your mind. Yep, you did read that right. Researchers at legendary boffin-camp CalTech have just unveiled an interface that lets people plug their brains into robot arms and think at them. With no buttons and no joysticks, the arms then do their bidding. And you know the first thing they did? Used a multimillion-dollar piece of equipment to drink a beer. Good job, fellas.